Create your own experience exploring 13 km of designated trails starting from Lost Lake PassivHaus. Pick up your rentals and trail pass and start any time. We feature Tubbs and Atlas snowshoe rentals in adult and children’s sizes. Click for a larger version of the trail map, or the link below for the clearer, printable PDF file. 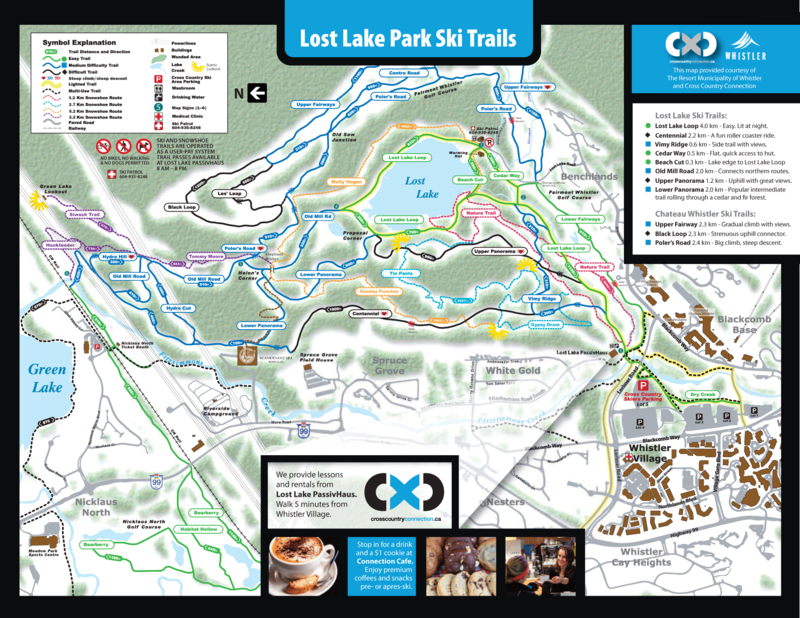 Our trail map has specific designated trails to assist you. Pick up your free copy in the shop before you head out, or download and review this one, also available as a larger, printable PDF.